Best day trips on public transport in Sydney? 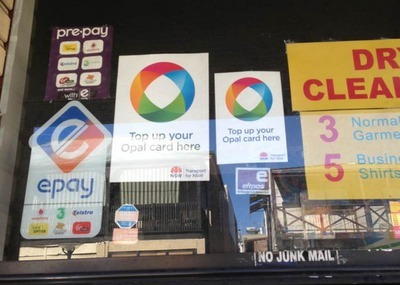 The new Opal card system in Sydney has a $2.50 cap on Sundays. Therefore where's the best spot you can go by bus, train or ferry for a Sunday trip? Beaches, gardens, bush walks, essential restaurants or outlet stores...what'll it be? A ferry ride would be the ultimate abundance winner with an Opal on a Sunday. The Opal card is not rolled out on my train line yet - we're still using red tickets. In saying this, the Opal card readers have just been installed at the local train station. This is great, you can hop on a Manly Ferry - go to the beach and go bush walking...even bike riding. Watson's Bay is also beautiful. Ferry all the way to these areas in particular. There are some lovely little towns outside of Sydney that you can get to by Country Link trains. I recommend Kiama, it's quiet and picturesque, and the main strip of shops is absolutely gorgeous - I always find an antique or candle or something similar to buy. There's a nice park and the blow hole is always worth a visit! My idea of a great sunday trip in Sydney is to catch the train to Circular Quay and a ferry to Watson Bay. The trip there is scenic and iconic, with many of Sydney's tourist delights on display including the Sydney Harbour Bridge and the Opera House. Once you get there Watson Bay has some really cute cafes and restaurants nestled near the harbour. If its warm enough you can go for a dip or have a nice picnic with family or friends in the shady park right next to the water. It makes for a lovely pick me up sunday afternoon. Best blogs written by Sydneysiders? Best late night snack food in Sydney? Best place to kick a soccer ball in Sydney? Best place to buy storage supplies in Sydney?